There are almost 20 miles (32 km) of Antelope Island trails to be savored by hikers, bikers, and horseback riders. 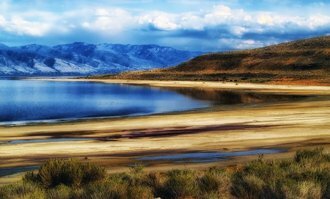 Antelope Island State Park is situated in a beautiful setting right in the middle of the Great Salt Lake . From the east side of the valley, it seems to literally float on the water. 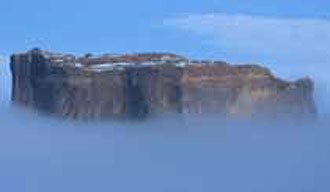 An arid rocky island with low mountains, it offers absolutely stunning views from just about any location on the island. 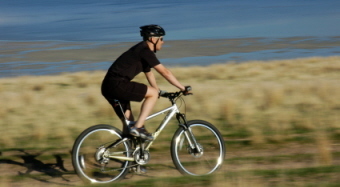 Many people know about biking across the causeway to Antelope Island. Those who enjoy this ride often follow the island’s eastern shoreline to the Fielding Garr Ranch. But there are many Antelope Island trails to enjoy. Backcountry trails. For beginners. And experts. 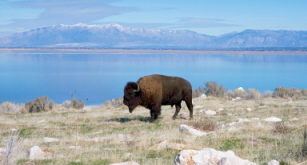 The Antelope Island trails offer fabulous views of the Great Salt Lake and the mainland. And they offer wonderful opportunities to view the island’s abundant wildlife. The Lakeshore Trail is a level trail suited for novice riders and family hiking. 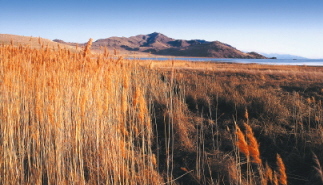 It’s a delightful hike around part of the Great Salt Lake. An easy hike. It starts at the campground at White Rock Bay and heads west. It follows a nicely maintained gravel path. There is little elevation gain making it suitable for just about anybody. It’s 2.8 miles (4.5 km) one way. This particular Antelope Island Trail meanders through a field of scattered boulders to your right as the lake comes into your view on the left. At times, the trail gets rocky but it isn’t difficult. 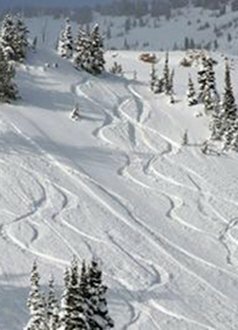 At various times, you’ll catch views of the Wasatch Mountains north of Ogden. The trail ends at the Bridger Bay Campground. You can go back the way you came or have someone pick you up at the campground. 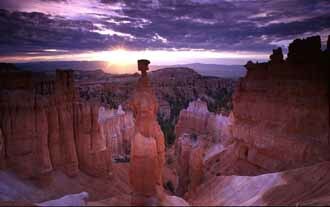 Average hiking time is 2 ½ hours one way. Round trip is 5.6 miles (9 km). Elevation gain is 69 feet. Dogs and horse are allowed. Restrooms are located at the campgrounds. Fee - $9. $4 to bike the causeway. This Antelope Island trail is a moderate to strenuous hike. Round trip, it’s 7.5 miles (12 km). Allow four to five hours if you’re hiking it. The elevation gain is 702 feet. As with all the Antelope Island trails, you’ll receive a map and trail guide when you pay the use fee. From the parking area, the trail begins at the break in the chain-link fence. The trail heads east across the rising hills through mottled grassy fields. To the north, you’ll see the bison corrals. And in the distance, the Promontory Mountains. About a mile in, the trail leads below Beacon Knob. You can climb up to the top of Beacon Knob or continue along on the trail around it. As the trails starts dropping back down, it gives you fabulous southern views of the island. About five miles into the hike, there’s even a bench to sit for awhile. The views of the lake are dynamite. The trail heads back northwest completing the loop. Carry lots of water, lots of insect repellent, and a comfortable sun-shielding hat. I would also recommend sun-screen. Remember, all of the Antelope Island trails are at least 4,000 feet above sea level! 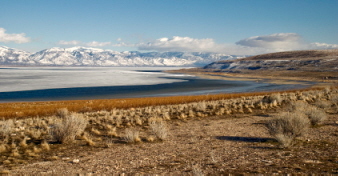 This is a gorgeous scenic hike winding around part of the Great Salt Lake. The elevation gain is only 69 feet. There are restrooms at the campground. Dogs and horses are allowed. The hike begins at the campground near White Rock Bay. It leads west along a fine gravel trail. 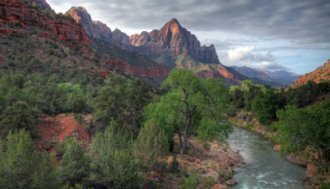 The lack of elevation gain makes it a hike suitable for just about anyone. About a mile in, you’ll enjoy marvelous views of the lake and the mountains in the distance. This is an out and back hike. Not a loop. You can turn around and head back to where you started or have someone pick you up. 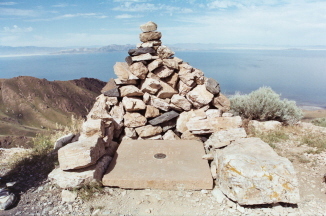 The Frary Peak hike takes you to the top of Antelope Island’s highest peak. One of the most challenging of the Antelope Island trails. Bring lots of water, insect repellent,and a hat. And use a lot of sunscreen. There is no shade on this hike! You can't carry too much water if it's a hot day. Round trip is 6.8 miles (10.9 km). It took me, my wife, and two of my daughters 4 ½ hours for the entire hike. This is a hard hike! I've seen it rated as moderate but we did on a late-June morning and it wasn't moderate. And my wife and I are in real good shape. She had just run a Ragnar. The elevation gain is 2,050 feet. There are no trailhead restrooms. The parking lot gate closes at 7 p.m. The trail is closed from early April through early June due to the bighorn sheep lambing season. We saw two bighorn sheep coming up the trail towards us as we were coming down. As you leave the parking lot, the trail starts straight up right away. Up a grassy hillside. There is little or no shade on this hike so come prepared. There are parts of this hike where the trail is carved into the mountainside. Nothing but two-by-eights secured by two pieces of rebar as steps. There are steep drop-offs. The views from the top will take your breath away. And so will the journey. This trail has just been opened up in the last couple years. One of the Antelope Island trails that’s been closed to the public for 100 years! 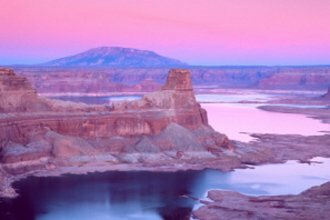 Relatively unexplored, you’ll experience awesome views of the Great Salt Lake as well as the scenic southern end of the island. Round trip is 7 miles (10.5 km). Hiking time is about 5 hours. Elevation gain is 1,114 feet. 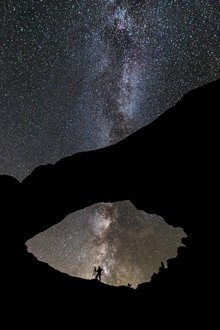 A hiking permit is required. You’ll have the opportunity to see a variety of wildlife on this trail. Bison, bighorn sheep, mule deer, raptors. Another great trail. 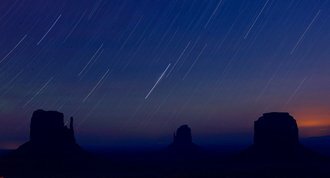 Before you start out in this venture, you’ll have to get a Sentry Trail Permit from the Fielding Garr Ranch. This means you have to start your hike early. The park requires you to turn your permit in before they close at 5:00 p.m. The trail loops around Sentry Peak. Be prepared for fantastic views of the Great Salt Lake, the Wasatch Front and the western side of the island. You may not want to leave. There are several other Antelope Island trails you may want to explore. When you get to the island, you’ll get a map of the trails. As you learn more about the island, you may want to try some of the others.